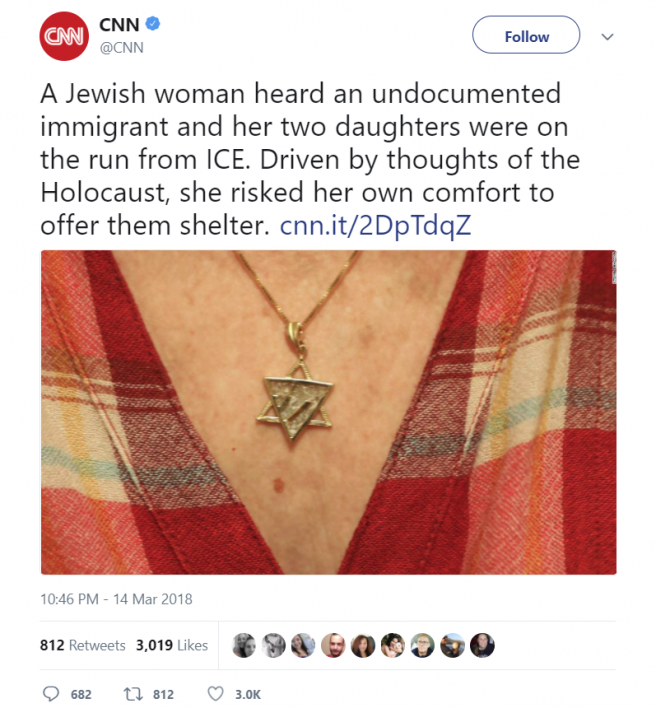 CNN ran a sob story on Wednesday comparing ICE agents' enforcement of US immigration laws to Nazis rounding up Jews for the Holocaust. 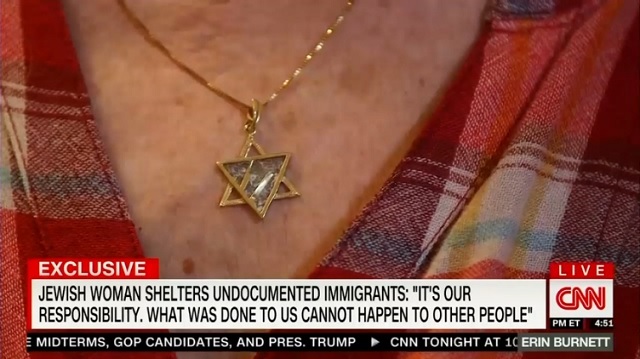 In a segment for Erin Burnett's "OutFront," CNN correspondent Kyung Lah interviewed a Jewish woman who decided to hide illegal aliens in her home because she was "driven by thoughts of the Holocaust." The network began after the election of President Trump and the fears -- and then reality -- that undocumented immigrants would face stricter enforcement action. For the woman, the link from the present to the history of World War II is strong. As News Busters notes, "Lah went a step further in the accompanying Erin Burnett segment, actually provoking the Holocaust comparisons from the Jewish woman, asking, 'Do you hear the echoes of history here?'" "100 per cent," the Jewish woman responded.